It's time to bring some fun into headphone experience, and Altec Lansing has done just that with the new Rumble Headphones. You may ask, why the usual name... and so did we. The answer left us wanting a full demonstration. The Rumble Headphones actually vibrate along with the bass that adds an extra dimension to your listening experience. When we first heard this feature, we thought well that's interesting. Then we tried them out for ourselves and were quite impressed. The bass is also variable and can be turned up or down, depending upon your preference within each song. 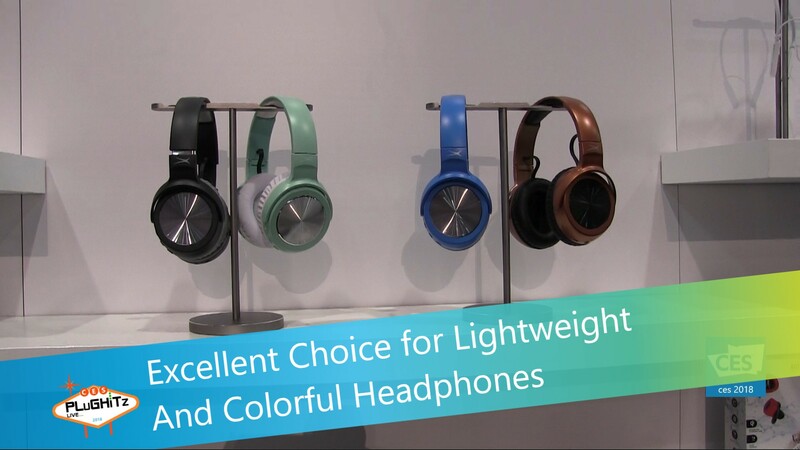 These headphones come both wired and bluetooth, with a batter life of 20 hours. The fit is customizable to your comfort and let's not forget the variety of colors available so you can match your own style and personality. Also being introduced this year are their own set of wirefree ear buds. They have a charge that offers 4 hours of battery life and come with a carrying case that also holds a 4 hour charge. The case also has the ability for Qi Wireless charging, which comes in handy with their newly introduced VersA Home Clock/Radio Speaker that offers Qi Charging on top. These air buds are extremely lightweight and comfortable in the ear and as with many of the other Altec Lansing lines, they come in a variety of cool colors. Keep an eye out on their website for these new wearables as availability and pricing will be coming soon. I know that we will be.